In our previous review, we compared some microarchitectures from AMD in the previous years. Now we will add Kaveri to the mix with A10-7800 and A8-7600. Kaveri, with Steamroller microarchitecture, is the codename of 2014 APU from AMD. Steamroller is an evolution from the Bulldozer microarchitecture, with some enhancements. One of the major enhancements included duplicating the decoding hardware for each thread in the module. Other enhancements included increasing cache size and improving branch predictions, as we have seen in the evolution of Intel Netburst microarchitectures. An interesting feature for Kaveri APUs is that all APUs have configurable TDP which can underclock the APUs to 45W or 65W TDP targets. At the launch of Kaveri APUs, there were two native APUs with 65W TDP, namely A10-7800 and A8-7600. 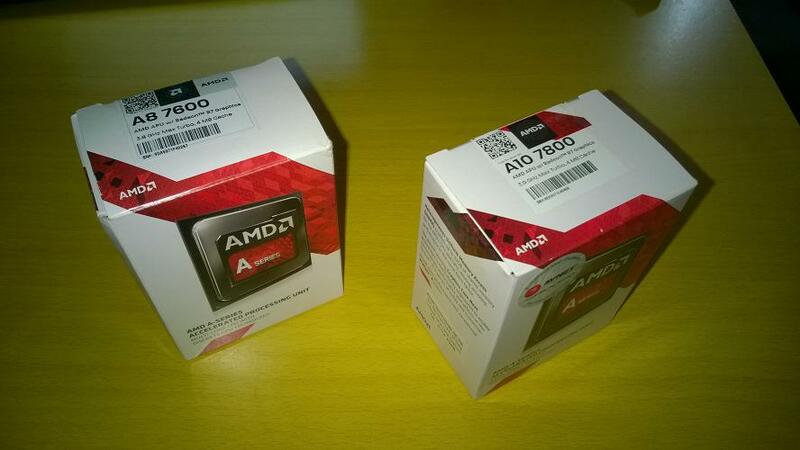 We will review these two APUs and the previous generation APUs with 65W TDP. Credit to imamage for A8-7600 and A10-5700 for test.